On Sunday we started early in the morning. Northerly wind was good and we were able to sail the whole leg mostly at good speed from start to finish. Otherwise the weather was good, but there was some fog during the day. We refueled diesel at Mellanfjärden, and also decided to overnight there. We were lucky with the weather on Saturday, but after that we have had more than our share of the rain. 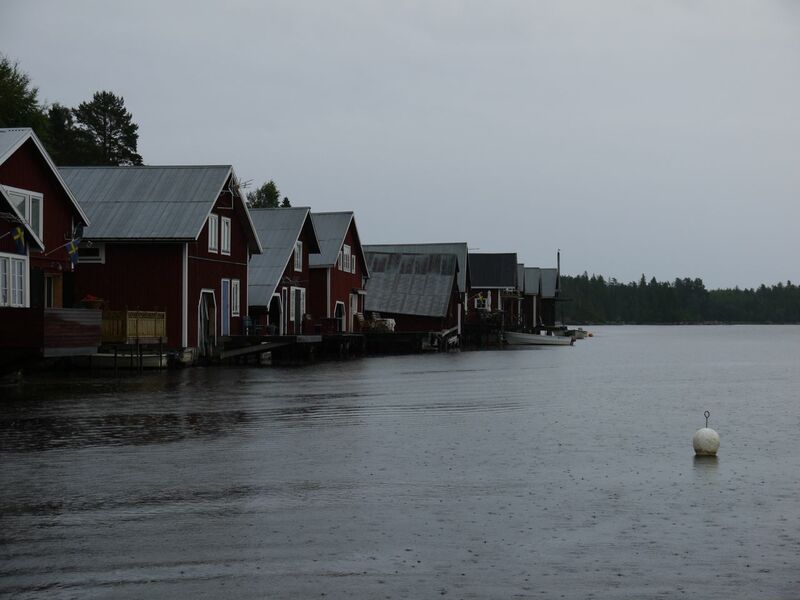 On Sunday, it started to rain almost right after we had arrived to Mellanfjärden and the persistent rain lasted the following 24 hours. The rain eased during Monday evening so we decided to continue 15 nm south to Kuggören. 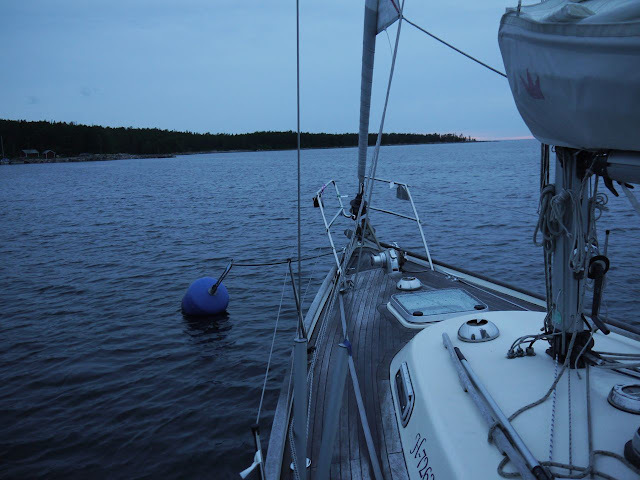 According to the Norrlandskust -cruising guide, Svenska Kryssarklubben has a mooring buoy in the bay, so we borrowed it to get some sleep. 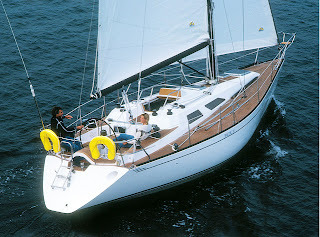 Otherwise the anchorage is sheltered, but it is open for northerly winds. 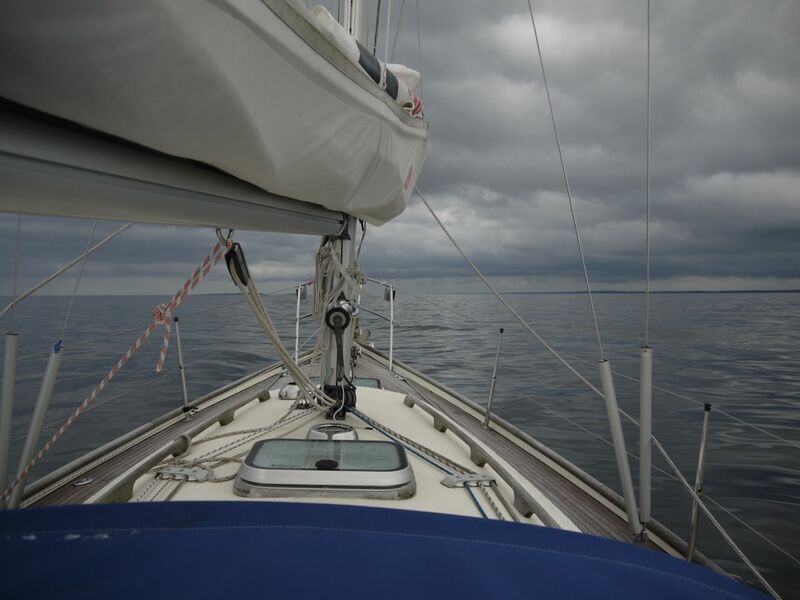 We listened the latest weather forecast from the VHF-radio, and were expecting light to moderate winds for the night. Unfortunately, stronger northerly winds arrived earlier than expected and the wind speed also turned out to be stronger than forecasted in the evening. 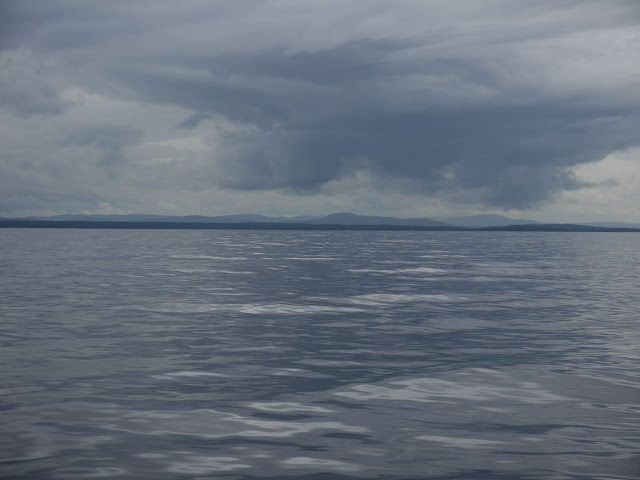 We woke up around 4.30 am to the uncomfortable motion of the boat, and decided that we should leave the anchorage. My handheld wind anemometer measured maximum wind speed of about 8 m/s. 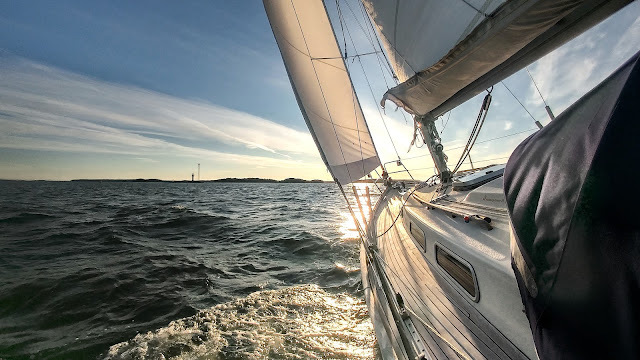 Minna checked from the web, that the latest observation from nearby Kuggören weather station was also 8 m/s, so we were expecting pretty much similar conditions, that we had a day before yesterday, Then the sea state was pretty easy. 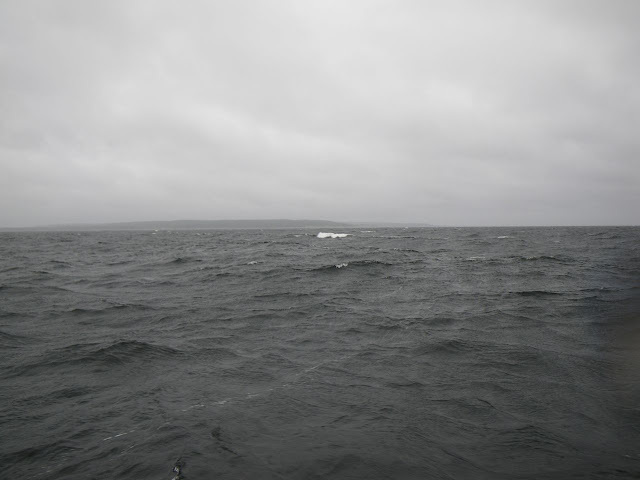 When we came to the open sea from the shelter of the island, I noticed that the wind was much more than 8 m/s. Also the northerly wind had built a nasty, steep sea. We had too much sail up (full genoa), so the windvane had difficulty in keeping the course in strong following seas. A couple of times the boat turned beam to the seas, and we heeled quite heavily. On the second time the boat hook and a deck brush were washed overboard from the deck. Because of the rain, Minna was staying down below, and all the heeling and banging sound of the sail made the situation look worse from that perspective. 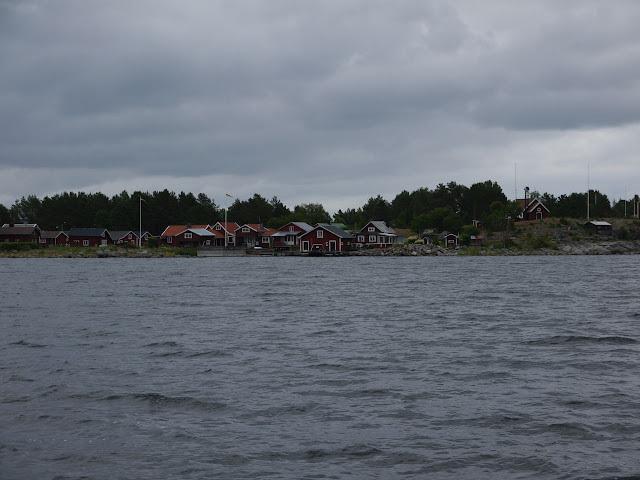 These conditions were a bit too much for us, so we decided to head for a nearby harbour, Hölick. 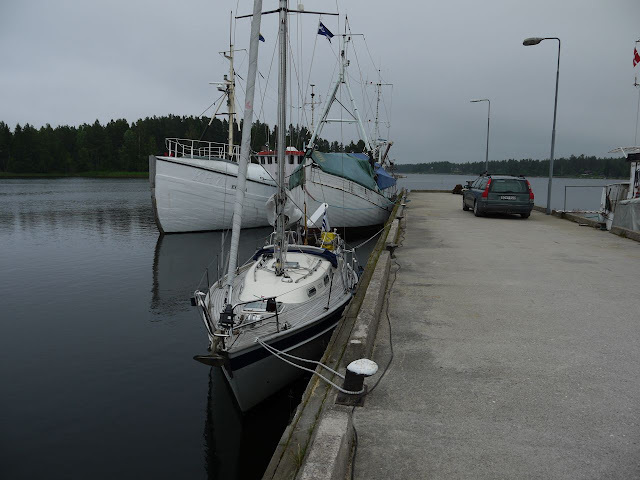 After we had arrived, two other boats also came to the harbour. They had turned back on their way north - one of them had measured wind speeds up to 15 m/s and estimated the wave height of four meters. I think that we had wind speed around 15 m/s, but it was the steep waves, that made the ride very uncomfortable.Fortunately, this happened near the coast, so we could head for a nearby harbour. However, this taught us a couple of valuable lessons. The first one is not to rely on weather forecasts too much. The second lesson I actually heard, when talking with the skipper of another boat that came to the harbour: one should always prepare for the storm. I should have cleared the deck before leaving the mooring and in this kind of conditions it would be good that we both are staying in the cockpit and wearing foul weather gear. Dressing in a boat going roller coaster ride is difficult and easily provokes seasickness. 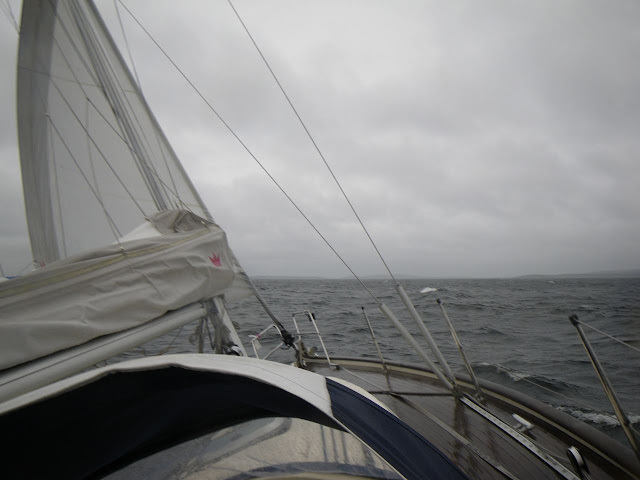 In the afternoon the winds calmed, so we continued towards south.